If you would like to make an appointment with a psychologist in Sydney, simply call 0403 866 997, email info@bluehorizoncounselling.com.au or fill in an enquiry form here. All correspondence is confidential. If we are unable to take your call, please leave a message with the best time to contact you, and we will return your call at the earliest convenience. We are located in easy to reach places around Sydney. Both offices in Sydney CBD and Crows Nest are located in convenient and easily accessed by public transport places. We are offering a modern and convenient way of therapy. Talk one-to-one to our professional counsellors and psychotherapists from the privacy and convenience of your own home with Skype. Demand for this service is growing and we are also offering our clients possibility of such therapy. We are offering an easy and affordable fees structure. The Australian Psychological Society recommended fee for treatment by a clinical psychologist is $251 for a 45-60 minute consultation. 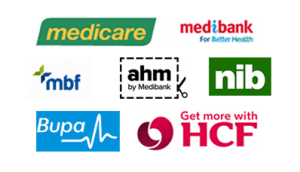 If you have a Mental Health Care Plan, your Medicare rebate is approximately $124.00 per session, so your out-of-pocket cost is approximately $126. The reduced fee can be offered to eligible clients. Please note that a cancellation policy applies to all appointments. Appointments cancelled with less than 24 hours notice will attract a cancellation fee.